If you're looking for a destination trailer that will leave you feeling right at home wherever you decide to park it, look no further than the Cedar Creek Cottage destination trailer. These trailers provide the finest vacation living at an affordable price. A queen sized Serta Dreamscape mattress is located in the bedroom. High ceilings lend to the wide open feeling of the interior, while the kitchen provides everything you need to feel like you're cooking in a residential kitchen. This includes an 18 cubic foot refrigerator, a stainless steel 30" over the range microwave, and premium Corian countertops. Truly, this semi-permanent vacation home is a wonderful long-term living solution for RVers seeking luxury and flexibility. 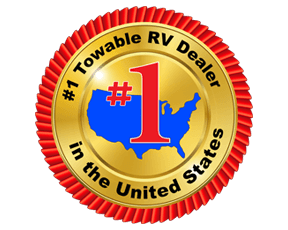 View our selection of destination trailers below and Contact us at the top RV dealer in TX with any questions you have. We also welcome you to stop by and walk through our available units. Use our RV Finder to search through our entire stock and to learn more.